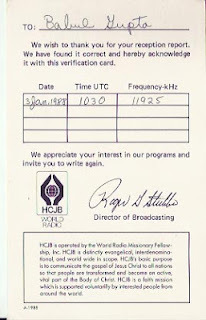 0230 hrs to 0300 hrs GMT log this station on 10th February, 1970. 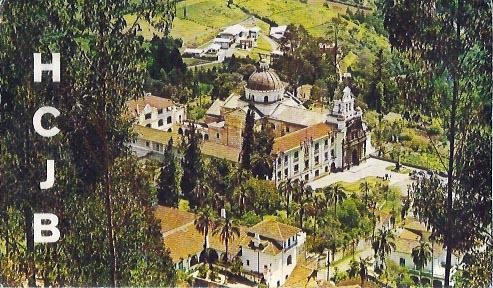 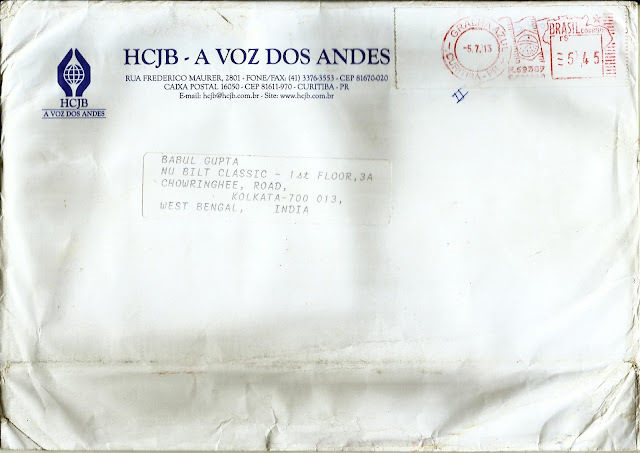 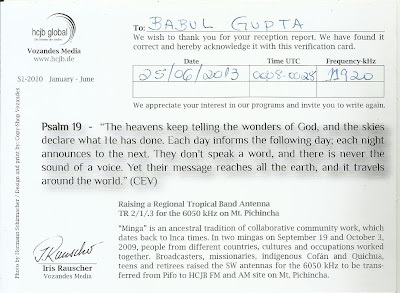 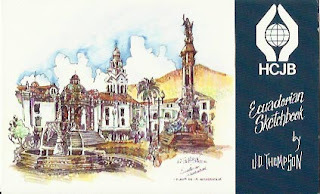 HCJB Global, Quito, Ecuador - Nauen, Germany: 11920 kHz, 0008 hrs to 0025 hrs UTC in Portuguese log this station on 25th June, 2013 and f/d QSL card arrived from Brasil ( HCJB - A Voz Dos Andes) on 24th July, 2013 for my email report. 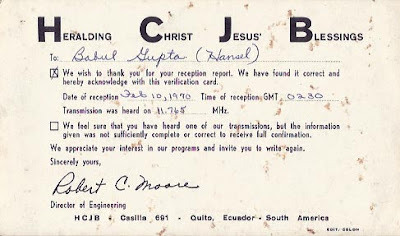 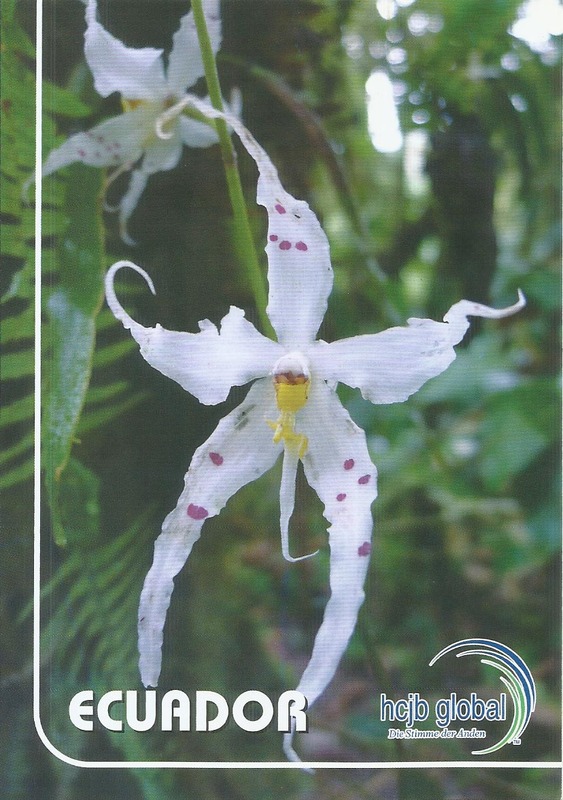 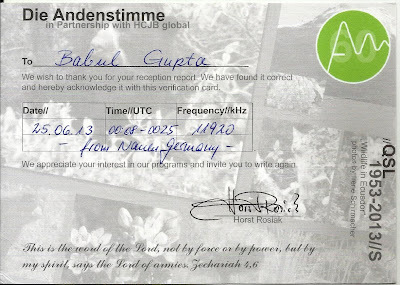 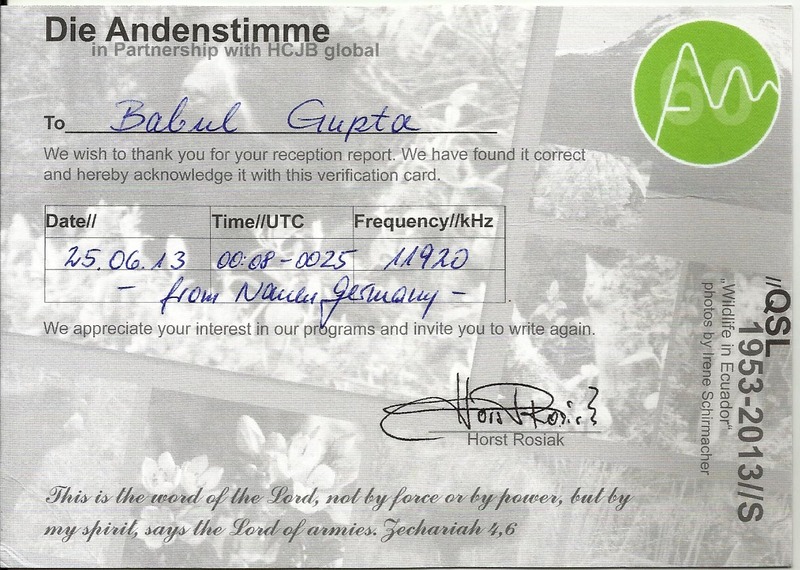 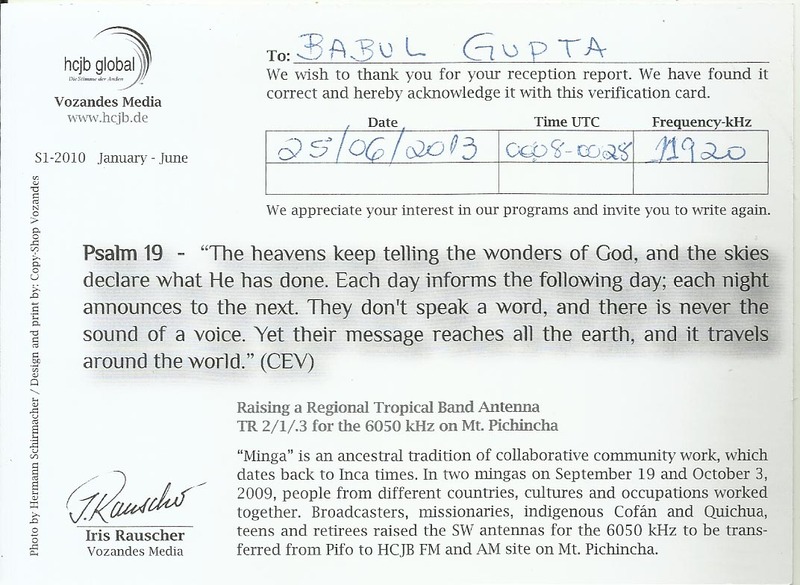 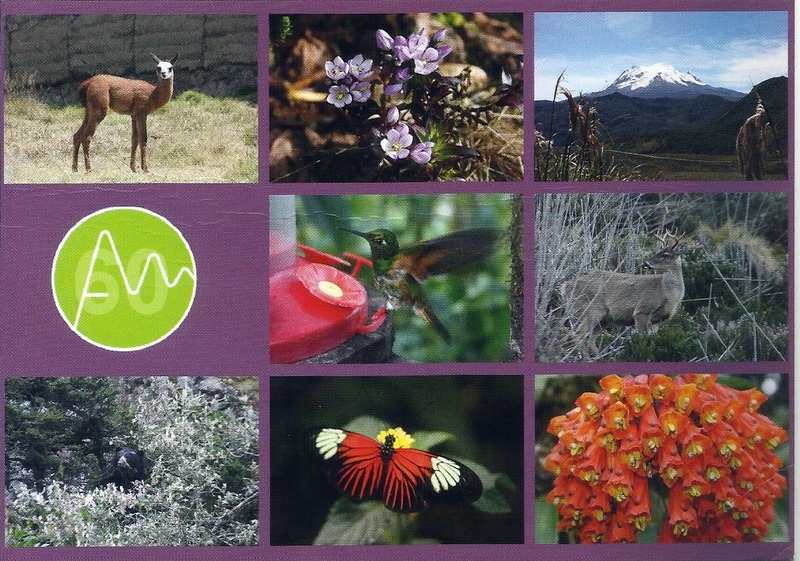 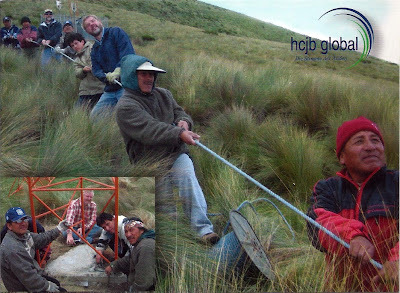 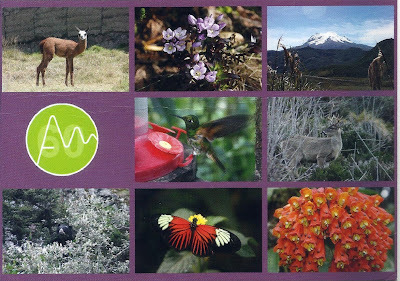 HCJB Global, Quito, Ecuador - Nauen, Germany: 11920 kHz, 0008 hrs to 0025 hrs UTC in Portuguese log this station on 25th June, 2013 and f/d QSL card arrived from Ecuador ( Die Andenstimme in Partnership with HCJB global) on 29th July, 2013 for my email report.